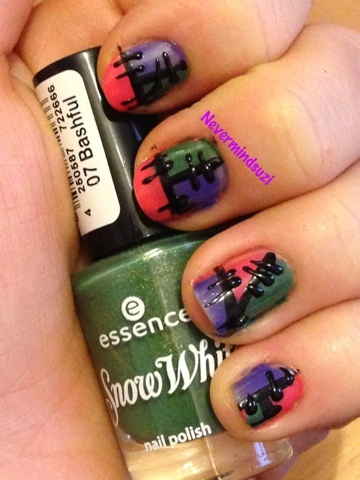 Week 3 of the Tri-Colour challenge and I'm doing a patchwork mani. I did one like this before, they always remind me if Sally from The Nightmare Before Christmas. 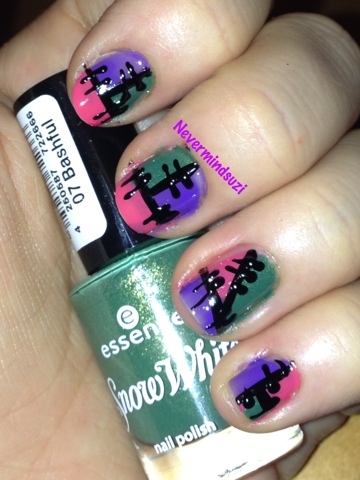 Cute Franken mani! It does remind me of Sally with the stitches and the color blocking. I agree it does look like sally :D Love it!